Model : Neopan Acros 100. Film Color Type : Black & White Prints Film. ISO Range : ISO 100. I participate from Japan. So I can provide you the best service. Condition is New. dated 2006. Eke films are classic B&W film emulsions with very high silver content and smooth tonal range. Kodak fixer is an excellent choice. Fotokemika ceased production late 2012. 6x7 10 EXP. 6x8 9 EXP. 6x9 8 EXP. 6x6 12 EXP. 6x4.5 16 EXP. Film Format: 120. 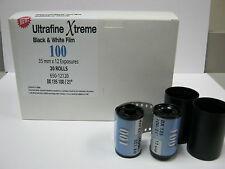 Type: Black and White Negative Roll Film. 100% Authentic Genuine Products. 10x Shanghai GP3 120 Black & White B&W ISO 100 Roll Film Negative 02-2021 Fresh! The Freshest Professional Shanghai 120 ISO 100 B/W Roll Film Item: Black & white B&W negative film Brand Name: Shanghai Film Format: 120 ISO: 100 QTY: 10 rolls (We have 4 roll, 6 rolls, 8 rolls, 10 rolls package available, please check out our eBay store.) Expiration Date: 02-2021 Condition: Brand new unopened, always storage in refrigerator. The pictures is for reference only, the validity period please refer to the description. We are the global exclusive agency of Shanghai Films, and the unique seller of Shanghai Films overseas version. If films sell out from our store have any quality problems, we promise unconditional same quantity replacement, please rest assured to buy. Kodak TMax 100 BW / 120 1-Roll / ISO 100 / Process: BW / Fresh Dated. The Film Photography Project informs, engages and inspires ﬁlm enthusiasts of all levels. World's finest-grained 100-speed B&W film. FRESH DATED 2021. also available in 135-24 & 36 exp rolls, and 120 Format. A fast speed, ISO 100 black-and-white film. Designed for any and all photo applications with standard Black-and-White processing. FRESH DATED 2021. also available in 135-12& 36 exp rolls, 120 Format. A fast speed, ISO 100 black-and-white film. Designed for any and all photo applications with standard Black-and-White processing. The Freshest Professional Shanghai 120 ISO 100 B/W Roll Film Item: Black & white B&W negative film Brand Name: Shanghai Film Format: 120 ISO: 100 QTY: 6 rolls (We have 6 rolls, 8 rolls, 10 rolls package available, please check out our eBay store.) Expiration Date: 02-2021 Condition: Brand new unopened, always storage in refrigerator. The pictures is for reference only, the validity period is subject to the description. We are the global exclusive agency of Shanghai Films, and the unique seller of Shanghai Films overseas version. If films sell out from our store have any quality problems, we promise unconditional same quantity replacement, please rest assured to buy. 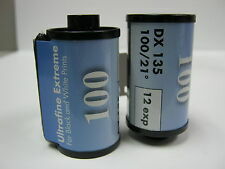 Expired film can often be shot for many years after the box date. 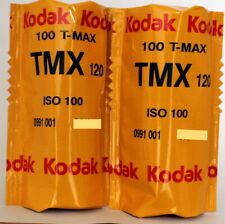 Kodak T-Max 100:- Kodak claim this has the finest grain available in a 100iso film. KODAK T-MAX. Black and White Film. The Freshest Professional Shanghai 120 ISO 100 B/W Roll Film Item: Black & white B&W negative film Brand Name: Shanghai Film Format: 120 ISO: 100 QTY: 10 rolls (We have 4 roll, 6 rolls, 8 rolls, 10 rolls package available, please check out our eBay store.) Expiration Date: 02-2021 Condition: Brand new unopened, always storage in refrigerator. The pictures is for reference only, the validity period is please refer to the description. We are the global exclusive agency of Shanghai Films, and the unique seller of Shanghai Films overseas version. If films sell out from our store have any quality problems, we promise unconditional same quantity replacement, please rest assured to buy. Made in England 1 roll of Ilford Delta 100 Professional Black & White 120 roll film dated July 2017. Unopened good condition. 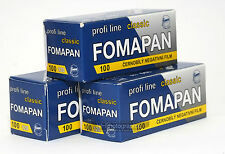 Fomapan Classic 100 120 Film - FLAT-RATE AU SHIPPING! Fomapan films provide low granularity, high resolving power and contour sharpness and a wide range of half-tones. All Fomapan films have wide exposure latitude and give good results even when over-exposed by or - 1 Exposure Value without any change in processing. 5 out of 5 stars - Fomapan Classic 100 120 Film - FLAT-RATE AU SHIPPING! 5 product ratings5 product ratings - Fomapan Classic 100 120 Film - FLAT-RATE AU SHIPPING! 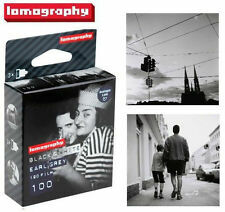 The Lomography Earl Grey B/W 100 ISO 120 film will give your shots an elegant vibe. Capture mysterious scenes in rich black tones, stark whites and all kinds of greys in between. Plus, the wide tonal range assures jaw-dropping photographs, whether you are taking landscape images or glamour shots! Expired KEPT COLD. the film envelope is slightly torn on edges but still should not have a great impact on its performance. Film Format / size Film type Number of exposures per roll Film condition.